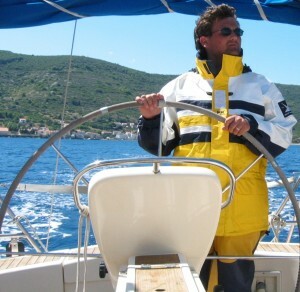 mySea will soon be joined by Radovan Marčić, the famous nautical expert and practicing gourmet and Marko Knežević, the sailing expert, both from Croatia. 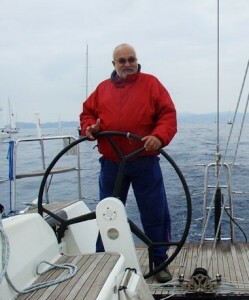 Radovan Marčić is a maritime author and journalist, who is well known for his cooking shows and knowledge of restaurants, especially along the Adriatic Coast, Radovan knows this coast and the islands like the back of his hand, he has sailed for decades and has already published many features about the sailing area including cruising guides and almanacs, about its people, culture and maritime heritage, as well as popular gastronomic guides and restaurant reviews. We speak on behalf of many users, when we say: we are looking forward to the cooperation and great insider information of two professionals. Radovan and Marko are happy to support mySea, because they see it as an excellent opportunity to expand and improve Croatian nautical tourism, particularly in the field of water sports, and to elevate it to a higher level. They see the potential in mySea to be the best digital, nautical area guide. The mySea team enjoys getting compliments like this and we look forward to offering you and all our other users lots of great advice with insider’s tips from Radovan und Marko soon to make sure that your next sailing trip is even better.